The Villa was the best decision my husband and I made! From the first time we toured the venue we knew it was the one. The team at the Villa is so friendly and helpful. Our wedding was in early October we had our ceremony in the courtyard - it was so beautiful! We then had our reception in the Madera Ballroom, it was perfect with a fireplace on either side. The food was amazing - we had the filet mignon and Tuscan-crusted chicken! It was the best night of our lives thanks to the team at The Villa. Thank you for making our love story that much more magical! My husband and I were married at Avenir in August 2018 - EVERYTHING was amazing! The staff was outstanding in making sure that our every need was met and taken care of in a timely manner. There was no point in the entire process where we 2nd guessed our decision to use the venue. The ballroom is gorgeous with an eye-catching chandelier that our guests still mention. There is so much to say about this venue and the people who made everything possible. 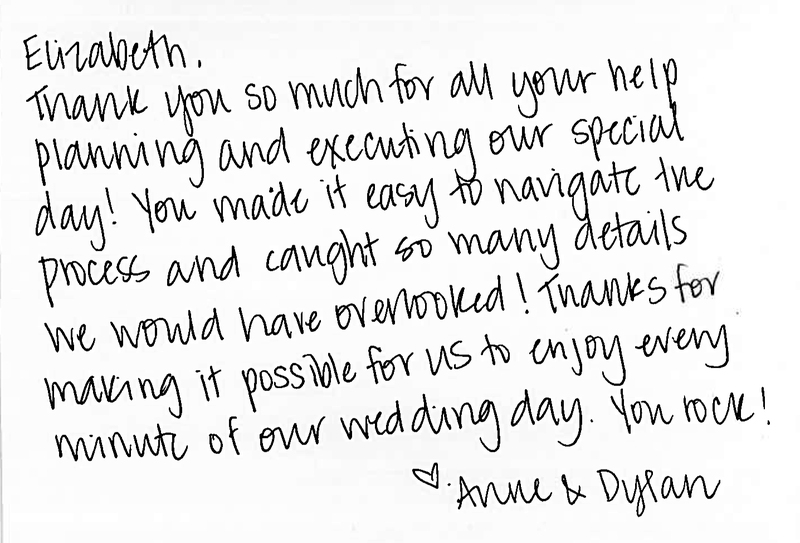 The staff was always patient with us and we appreciated everyone's effort to make our day perfect. You can't go wrong with choosing Avenir! You've been super amazing throughout this whole process! 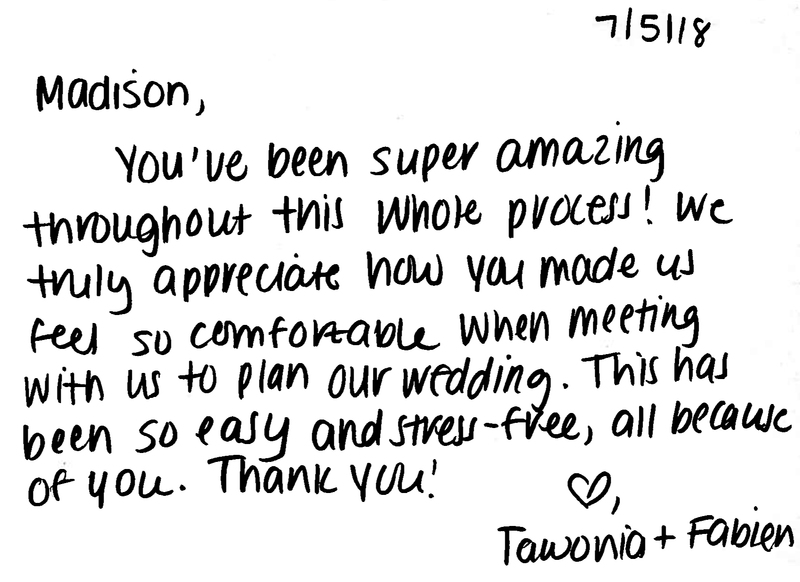 We truly appreciate how you made us feel so comfortable when meeting with us to plan our wedding. This has been so easy and stress-free, all because of you. Thank you! We really loved working with Avenir. When we first heard that Raffael's was under new ownership we were pretty nervous! Sydney and her team did such a great job making it an easy transition for us. Our contract was honored completely and the service was amazing. The chef is highly notable- the food was absolutely delicious. We are so happy we chose this venue! Kyle & I can't thank you all enough for helping to make our day so awesome! We got nothing but compliments from all our guests. From the bottom of our hearts, THANK YOU! The Villa was our first and only venue we looked at and we fell in love with the Tent. It has beautiful landscape grounds and the pergola is gorgeous! The food was outstanding and everyone was raving about it. Choosing the food was so difficult because everything is incredible! It truly was the best day ever and I couldn’t imagine having our wedding anywhere else! Saphire Estate exceeded our expectations. Our coordinator went out of her way to make us feel comfortable, taken care of, and played a crucial role in making our wedding special. She even helped me (the groom) plan an additional surprise for the my wife (the bride) when she arrived at Saphire. The food is fantastic, the atmosphere is ideal, and the entire staff is dedicated to making your day perfect. If you are looking for a place that "has it all", this is it! Thank you for everything you did for us!! Our day was perfect thanks to your guidance along the way. Can’t imagine what we would have done with you! Thanks again! Thank you for coordinating our wedding day. Everything went smoothly and the guest loved the food! It was an amazing day and the grounds looked magnificent. We were so happy to choose Saphire Estate as our venue! Thank you so much for everything you did for our wedding. We had an amazing night all thanks to you and the rest of the staff at Saphire Estate. We hope you have a great holiday season! We had such an amazing wedding at Saphire Estate! Our entire experience was exceptional from start to finish. When our wedding day finally arrived, it couldn't have gone smoother. Everyone on staff was amazing - the bridal attendants, the bartenders, the servers, management, and of course our Event Producer - they really all brought their A game! Everyone was so friendly and attentive to making sure our guests had an awesome time. 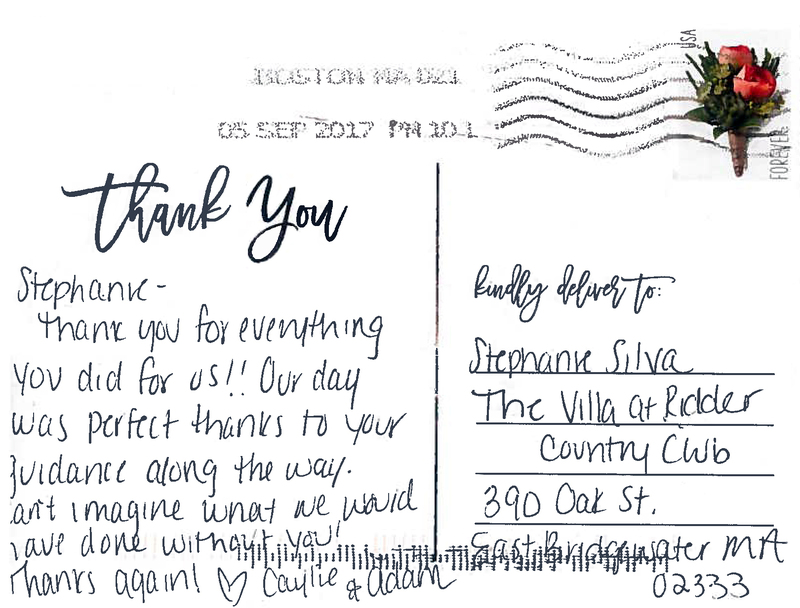 We are so pleased with our experience at Saphire Estate and are grateful they made our wedding day such a wonderful, memorable event! We had our ceremony and reception at The Villa at Ridder Country Club and I cannot say enough about how flawlessly the day went thanks to the amazing coordination provided by the staff. We had a mixed culture wedding that made our timeline very non-traditional and The Villa was so accommodating! There are not enough good things I can say about our decision to hold our wedding at there! Thank you so much for all your help planning and executing our special day! You made it easy to navigate the process and caught so many details we would have overlooked! Thanks for making it possible for us to enjoy every minute of our wedding day. You rock! My wife and I booked Avenir just as they had changed ownership. The venue is stunning, especially after Saphire Event Group added their special touch to it. The level of detail that the Saphire Event Group drills down to is amazing. The wedding was perfect; from the service to the food- nothing could have been done better! People are saying how it was one of the best weddings they had been to. I highly recommend Avenir! We are just shy of our two month anniversary and I could not let too much time go by without sending you a special thank you! Sterling and I greatly appreciated everything you did to make our special day so amazing! Our day was so perfect. You were wonderful to work with and we are so thankful to have had you be a part of it. The Villa was everything we dreamed of! Thank you so much for making our wedding the absolute best day! People are still talking about how amazing the entire day was. Thank you for ensuring that everything was absolutely perfect! 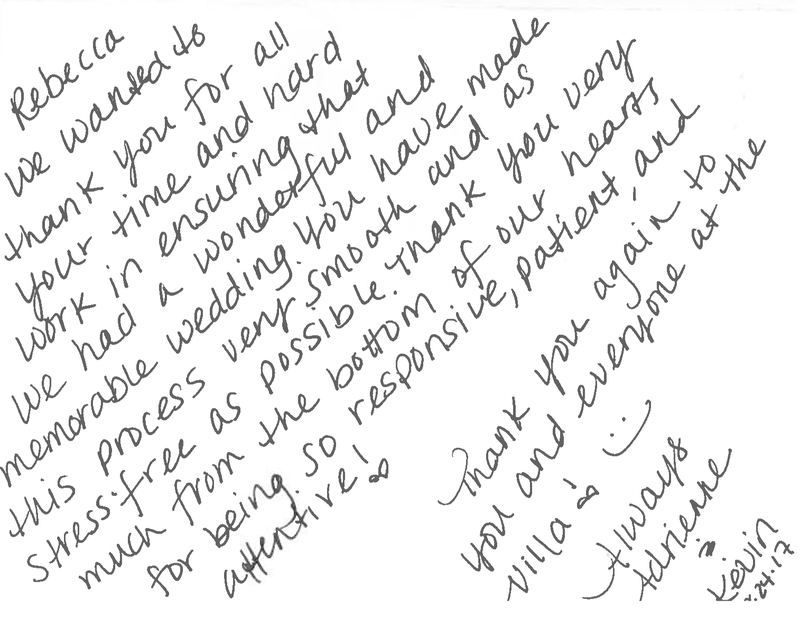 We wanted to thank you for all your time and hard work in ensuring that we had a wonderful and memorable wedding. You have made this process very smooth and as stress-free as possible. Thank you very much from the bottom of our hears for being so responsive, patient, and attentive! I loved everything about our wedding at The Villa. We had a beautiful garden wedding ceremony under the pergola, followed by a reception in the beautiful tent. I also have to say the food is the absolute best! I never expected to be able to enjoy every moment of my wedding like I did! Words simply aren’t enough to express how grateful we are to you! You made planning easy, stress-free and fun. How lucky we are to have you create our dream day! Just wanted to thank you for a great night! Food was excellent, bartenders and servers were great, grounds were beautiful. Thank you for helping to make our daughter's wedding perfect! Thank you again for everything you did for our wedding day. We loved every second of it! Both of our families specifically said thank you and speak so highly of their experience. Saphire is so beautiful and I enjoyed every planning meeting we had - I wish I could come back again!